Ms. Hunger would like to wish everyone a happy Valentine’s Day 2019. Monday, October 26th was “Drop Everything and Read Day” (D.E.A.R.) across B.C. and 19 of our classes participated. Students and teachers in our school read for a total of 9380 minutes! The Red Cedar book clubs will begin soon for students who have been nominated by their teachers. This process is beginning now, and the two clubs will meet with Ms. Hunger every Friday for reading activities starting in November. The Young Reader’s Choice Award book club will also begin in early November and all students in Grades 4-7 are welcome to join this home reading program. Each class will be notified of these clubs throughout the upcoming week. In addition to these activities, there will be a French Book Fair from December 7-10th. Thank you to all parent volunteers in the library! Ms. Hunger would like to thank all of the parent volunteers Mrs. Mrs. Gritta Tettweiler, Mrs. Helen Ismirnioglou, Mrs. Sandy Szutu, Mrs. Olive Chan, and Mrs. Michelle Jenkins who shelve books and attach plastic covers on them for the library programs. The September Book Fair was a great success! The Scholastic Book Fair was a great success! The money earned from this fundraising event will go towards paying for the plastic sheets that we cover all of the paperback books with, as well as more book tape, reading club prizes and certificates, boxes of spine labels, and library books that I purchase from other suppliers. I was able to buy many of the books from the fair to add to the library collection. Look for the new books on display now! Thanks for supporting our school library. French Program classes have now signed up for preview times in the library during the week of the fair. English Program classes will be coming to the library for a book exchange that week. All are invited to visit the fair, which will be open after lunch for students, at 2:30 for parents, and for everyone from 3:00-4:00 daily (3:00-3:30 Friday). A big thank you to those parents and students who expressed interest in volunteering for this year’s Book Fair. Please look for confirmation of your volunteer schedule in the coming days. Together with your help, we can make this fair a wonderful success. See you at the fair soon! The Red Cedar Book Clubs have begun! The non-fiction and fiction clubs are now meeting every Thursday afternoon in the library. The non-fiction club meets at 2:00 pm and the fiction club meets at 2:30 pm. Students began borrowing Red Cedar books in mid-November and have begun setting personal goals for themselves in order to be eligible to vote for their favourite book in the spring. The general goal for each member is to complete reading logs for a minimum of 5 books in their club. 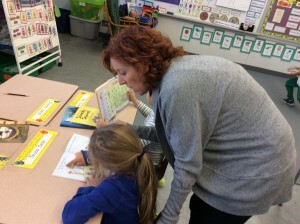 In order to be selected to join a club, students must show strong reading comprehension and read fluently at an inferential level at or above grade level. Students must be able to concentrate and stay on task in class, be able to express in writing his/her thoughts and ideas about what has been read, and be willing to participate in class or group discussions. They will be required to complete a group project on time and present this to the class. Students must also be able to attend book club meetings regularly, arrive on time and be prepared with all required materials. They will understand that by joining these clubs, they are responsible for independently catching up on any missed classroom homework or assignments. To view this year’s nominees, choose the “Bookcase” tab on the top right. Roll the mouse over the book for a review. The YRCA Club has begun! Students in Grades 4-7 have been invited to join the YRCA Club and to review a minimum of 2 books in order to be eligible to vote for their favourite title in the spring. Congratulations to everyone who participated in this year’s program, “Risky Business”! This year, over 70 Sperling students completed 50 days of summer reading and received both a medal and a certificate to mark this achievement. These individuals will also recognized at an upcoming Celebration of Learning in early December. Our annual Home Reading Program began the week of October 6 and so far, it has been a great success! To give you an indication of how time has flown, November 24 marked the earliest day that a student could have reached 50 days of reading. Students were given record sheets to track their reading and are responsible for check-marking a box for every day they read for 15 minutes or more. Only one box can be marked per day. Sheets must be signed by a parent or guardian before they are handed in to the library. Students who complete 200 days of reading by the end of May will earn a book prize. 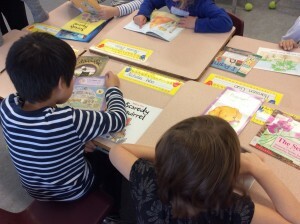 There are a variety of ways students may choose to read: at school or at home, independently, and/or with a friend, classmate, teacher or family member. Students may read picture books, easy or regular fiction and non-fiction, graphic novels, comics, magazines, newspapers and (with parent consent) online information. Reading can be done in any language, but students are always expected to choose materials that are age and grade-level appropriate. We thank you sincerely for your continued support in helping reinforce the importance of lifelong literacy and appreciation for reading.